Their Royal Highnesses Crown Prince Alexander and Crown Princess Katherine officially opened the traditional Easter Bazaar of handicrafts made by women refugees and children with special needs in Mercator Center in Belgrade. Total revenue from the sale of the handicrafts is intended to help vulnerable groups. The opening of the bazaar was attended by Mr. Vladimir Cucic, Commissioner for Refugees and Migration of Republic of Serbia, the representatives of the diplomatic corps as well as the numerous guests from cultural and public life of Serbia. 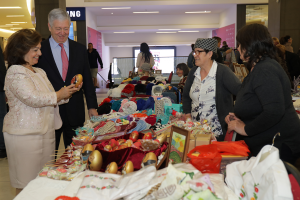 “It is a great pleasure to welcome you to the traditional Easter Bazaar and to thank the Management of Mercator Center who enabled us to organize the Bazaar in this beautiful area. 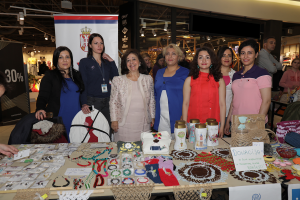 You will have the opportunity to see and enjoy the lovely handicrafts made by these creative women and their associations. 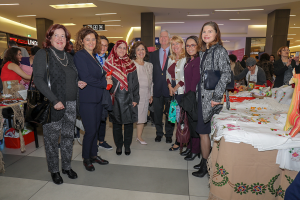 Producing handicrafts, these ladies support their families in the most difficult times, and all proceeds from the bazaar will be used to support these women, their families and their associations. 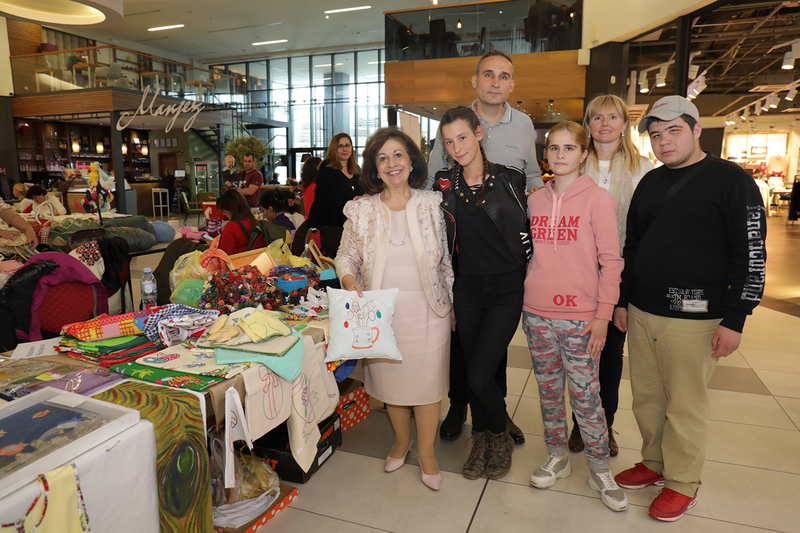 I wish everyone much success and thank you for your great support“, said HRH Crown Princess Katherine. The Foundation of HRH Crown Princess Katherine organized the traditional Christmas and Easter handicraft bazaars for many years, with the aim to help the displaced, refugees and socially vulnerable persons sell their work and earn money, which would allow them to spend two major Christian holidays with their own families unburdened with financial problems. 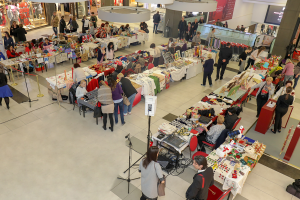 Over 40 women and children from all over Serbia exhibit at this year’s bazaar, and all the proceeds from the sale is intended to help these vulnerable groups.